At McGarry Flooring and Contracts (Glasgow, Lanarkshire, Scotland) we are a family run business, trading for over thirty five years and specialising in all types of Domestic Floor Coverings and Commercial Floor Coverings and Upholstery Contracts. 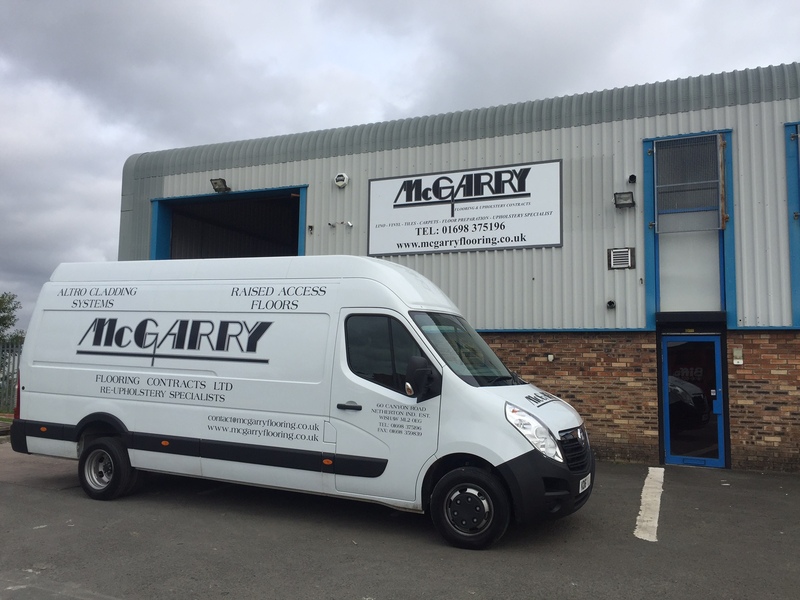 McGarry Flooring and Contracts also specialise in Altro And Bioclad Wall Cladding Systems, Hardwood Flooring Contracts and more recently, Raised Access Flooring contracts. We provide a service in the local community and also within the private sector working in conjunction with Building Contractors, Housing Associations, Architects and Interior Designers throughout Glasgow, Lanarkshire and the rest of Scotland. Located in North Lanarkshire, (near Glasgow) Scotland and employing over 40 people, we have the ability to serve Central Scotland with quality workmanship and commitment through our experienced and trained flooring and upholstery staff.